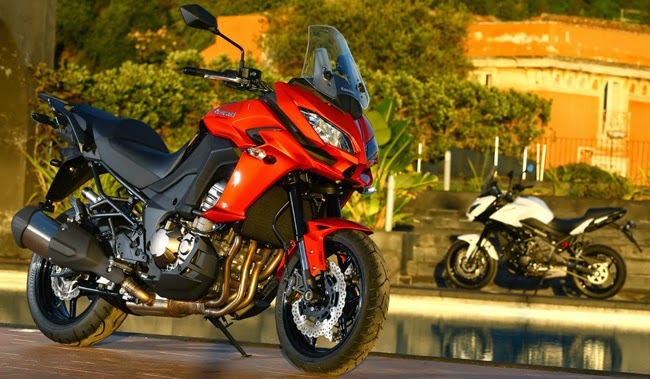 In 2012 Kawasaki Versys 1000 launched a surprise party with his trail-cient cycle and its large 4-cylinder in-line. Convincing the dynamic level, aesthetic and practical aspects should be reviewed. It's done. First, to give what belongs to JCO JCO: under fire pulse Jean Claude Olivier, Yamaha has been the first manufacturer to have housed a motorcycle 4-in-line in a noisy motorcycle offroad . It was in 1986 for the Paris Dakar. 25 years later, it was Kawasaki's turn to innovate and amaze: the firm Akashi disconcerted indeed visitors EICMA 2011 applying the principle of the ER-6 long (extra) legs - called Versys 650 - his maxi-Z1000 roadster. The idea actually was enough to leave at least doubtful: combining online 4-cylinder with a maxi-roadster with suspensions rather large clearance (150 mm front and rear) was he supposed from a commercial point of view? Presented to the press in the wake of the Italian exhibition, the Versys 1000 had finally convinced Moto-Net.Com with its furious as flexible engine, its well-balanced chassis, a significant comfort and flight assists (ABS and KTRC) effective and come standard (read our test of the first Versys 1000). For 2015, Kawasaki has decided to turn around (read our MNC presentation Versys 2015). The Greens also announced that "the new headlight design contributes to the strong double Kawasaki image while reflecting the enormous potential of the Versys 1000 for the pleasure of sporty driving. In the color -Candy Burnt Orange- that is proposed for this presentation press, the new sharp lines of its half fairing and numerous aerodynamic appendages that make up its new front are remarkably underlined. 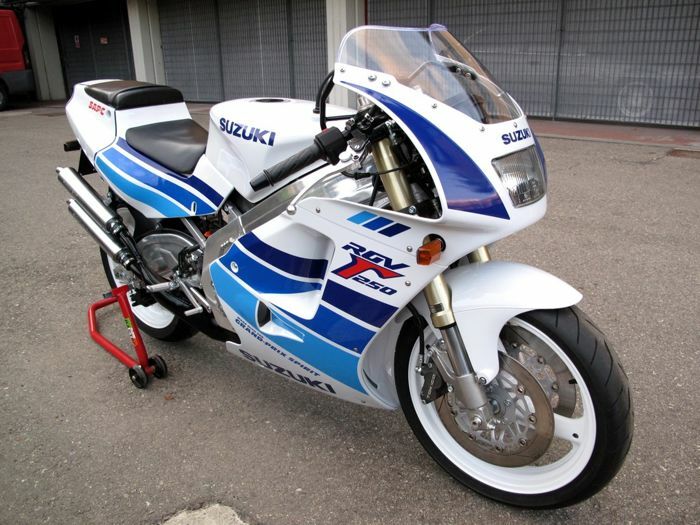 Expected by some customers, regretted by others, commented by all - including the motorcycle Journal du Net - Kawasaki this change is not limited to a radical facelift. Finest observers have noted, for example, the new look of the pot, more elegant than the previous black. Conversely, the bottom of the tachometer painted black in 2015 is happier than marronnasse 2012. Unique element, a gear position indicator can be installed as an option. Identical to that offered on the new Versys 650, it is off to the right of the dashboard console, but its red color and brightness make it legible. At the other end of the table - to the left! - May appoint a 12V socket that connects the GPS or smartphone (40 W max). In the middle, the digital screen gives access to the same many information. Directly via the stalk left handlebar, the driver scrolls odometer, A & B trips, current and average fuel consumption, range and time. It can also choose to display the outside temperature or that of the motor. The speed and fuel level are shown continuously on the screen, like the engine mapping modes (Full or Low) and those of KTRC (traction control), which are renewed and always embedded standard on the big Versys (ABS included as well). Fitted as standard from this year alone, suitcases media integrated with passenger handles resume the mechanism - devilishly simple and efficient - those discovered on the Z1000SX 2014 (read our comparative test MNC VFR800F, Z1000SX or CBF1000F each its way!). 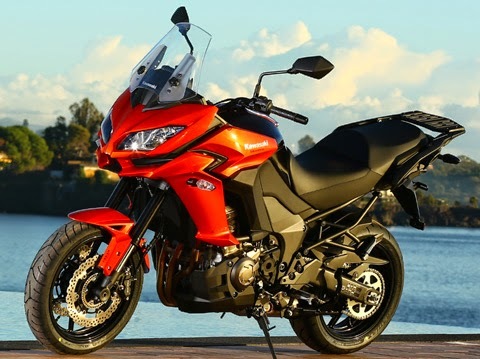 "The new optional luggage fixing system adopts a modern, integrated look for the back of the Versys 1000 is as beautiful with and without suitcases" insists rightly Kawasaki France in its arguments.